Jayne will be taking her Primary School Leaving Examination on the 6th October to 12th October, which is next Wednesday till the following Tuesday. Other than being there for her, her daddy and I were thinking of what we can do to show her our moral support during this period of revision, before THE day. Something that we loves to do as a family, one of our favourite "chore" in the kitchen is BAKING. As Jayne loves to spread her bread with Nutella, we decided on the the Quick and Easy Nutella Walnut Cake recipe from I can Bake, written by Agnes Chang. This time we baked her a twin-cake ! It means Double Happiness, and the Love for her from her daddy and me. 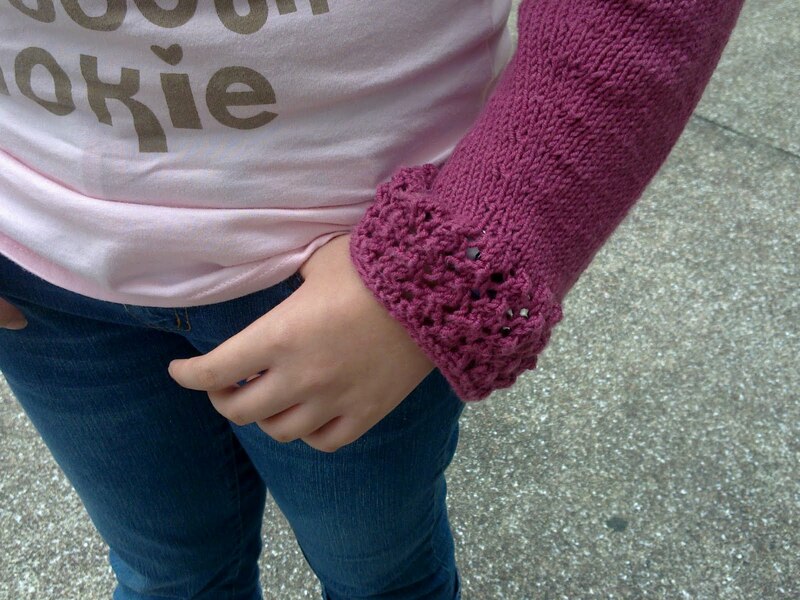 I like the construction of this shrug , a very easy follow pattern and the outcome is great ! Jayne loves it very much, wears it very often. 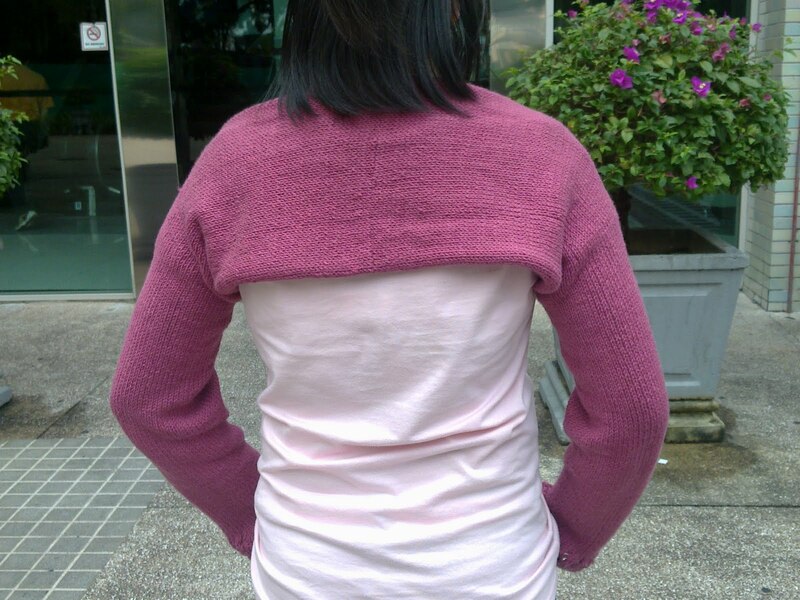 I do not wish to knit something that is only wear once and being put away. 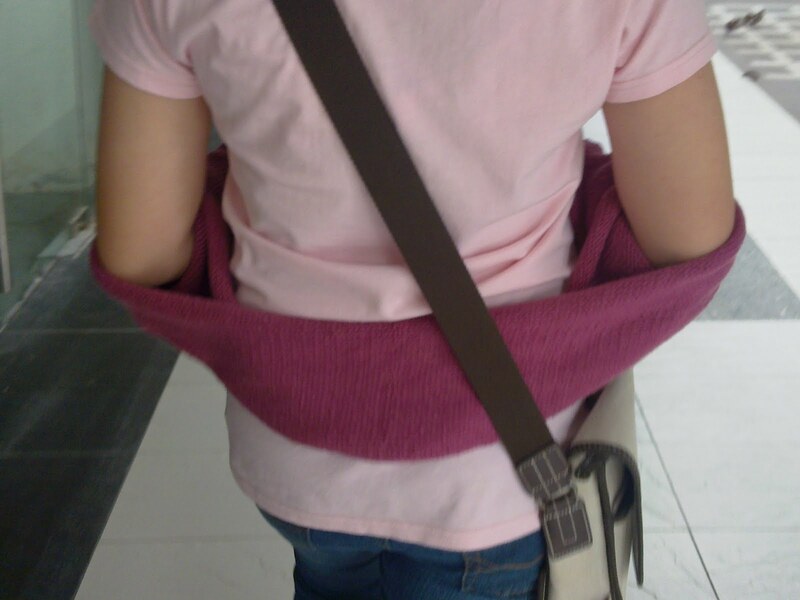 According to her, it is a must to wear in an air-con room, and is easily folds away in her sling bag when is not in use, this shrug doesnt take up much space in her sling bag. Over-riped banana is very common in our house, hence this gives me opportunity to read on baking blogs and Q&A food forums. I've baked banana cake before, it is the warm weather that keeps me away from my oven. 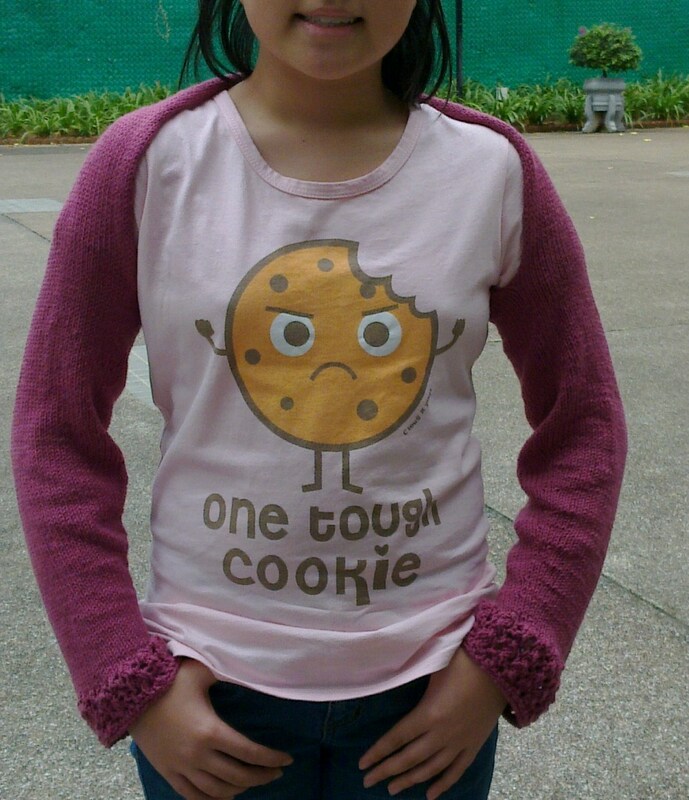 But this time, i baked on impluse ! There is this one baking blog that i like to visit - Bakericious. I like the moist and soft banana cake she baked, and a little "oh.....that's was so sweet of her husband" story behind it. My banana blueberry cake looked different from hers, as i'd only self-raising flour in my fridge instead of the plain flour in her recipe (no baking soda and baking powder was added too), also i omited the vanilla essence and cut down on the sugar amount as those over-riped banana gave the cake its original sweetness and its own fragrant. I reduced the amount for the salted butter too as to cater to amount of the self-raising flour that was left over from the last bake. Meanwhile, i hope the weather will be less humid and not so warm for me to bake (again) i love to see Jayne and her daddy delighted smiling face when they eat the bite-sized banana blueberry cake snack last evening. This was our dinner last night - Linguine with Mentaiko Premix Sauce. Jayne and her daddy loved this home-cooked spaghetti so much that they asked me to cook again. I was very happy to see them enjoying their food, and it never fails to bring a smile on my face ! I've to thank Erin for this, it was from her blog that i read about. She was so kind to tell me where to buy this premix sauce and how to prepare the dish. I copied down immediately. While i was busy counting the rows and stitches for this gauge, i heard chirping outside the window - this little yellow bird standing on one of the bamboo pole, cleaning his feathers, enjoying himself in his bird-eye view. the next moment i rasied my head looking out of the window, there he was standing at the window panel. Upon seeing this, i thought to myself, it might be the warm weather that made him went under the shade of the window, poor guy ! Hence i quickly removed a pot of plant from the glass container nearby, poured water in, thinking that this little birdie might need to cool down, and i think that he knew there will be a bird bath as despite that i was so close to the window, he doesnt seem to mind and was waiting for it. Slowing he made his way in, nearer and nearer .... guess he must be feeling so at home ! See he was again chripping away resting on the bottom of a standing fan, together with those reuse, recycle milk bottles containing rain water that i've been collecting on raining days, this sky water is a good supplement for plants. Now he was on the table, on my knitting magazine, looking around. I've so much fun watching and recording this little guy made his way in and out of my house. Jayne was happy to see the tape, however she is hoping that our little friend will come visiting again while she is at home. Received a package yesterday, truly a very surprise one for me as I was not expecting anything from anyone from anywhere. And yet these came in............My Birthday Presents ! With your busy house-moving event, most of your things being packed up in boxes, you were not so sure of my birth month, yet you still send these to me. You made my day - with full of happiness, warmth and love. I used to buy The Cross Stitcher but not anymore as I have stop cross stitching since, by looking at it now, there is a urge to re-open my cross stitch box, maybe in between knitting, a little cross stitching will be good. .......and this lovely fob with my initial J, isnt it beautifully stitched with exquisite beads finishing ? Thank you so much Mylene. This is a Flickr badge showing public photos from jackky68. Make your own badge here.